Marchex, Inc., a leading provider of call analytics that drives, measures, and converts callers into customers, announced the acquisition of Callcap, a leading call monitoring and analytics company, for total consideration of $35 million in a combination of cash and stock. Callcap specializes in call monitoring and analytics solutions for more than twelve industry verticals, including home services, healthcare, automotive, and telecommunications. The Company’s innovative technology powers complex, custom evaluations of millions of calls each month, providing deep insights into consumer and business conversations with numerous integrations into the call center environments of many franchise businesses. Callcap has processed tens of millions of calls year to date, which further expands the footprint of Marchex’s leading conversational data set. Additionally, the company offers a separate self-service offering to Small and Medium Sized Businesses (SMBs), which is one of the fastest growing segments in the call analytics market and one where Marchex sees meaningful prospective opportunity. “Following today’s announcement, Marchex is on pace to have more than $50 million in annualized, growing analytics revenue,” said Russell Horowitz, Executive Director and Member of the Office of the CEO. “We are excited to combine our existing suite of call monitoring and analytics solutions with Marchex innovations,” said Will Steinhoff, Callcap President and CEO. The combination of Marchex and Callcap will more effectively serve the entire market, ranging from Fortune 500 brands to small and medium-sized businesses. Additionally, Callcap has a broad range of home services customers, from franchisors with call centers to small business service providers. Recognizing the distinct needs and operating requirements for each segment, this transaction will better equip the combined Company to profitably serve the fast-growing SMB segment. Leveraging Marchex AI and machine learning investments will unlock significant long-term savings by streamlining Callcap’s call monitoring solutions. In addition, the Company will benefit from joint sales efforts as well as meaningful operational efficiencies. By combining resources, the companies expect to leverage machine learning and AI driven capabilities across one of the largest conversational data sets in the industry to deliver unique solutions for businesses of all sizes. Total consideration of $35 million, with $25 million paid in cash in connection with the closing and $10 million (or 3.4 million aggregate shares of Marchex Class B common stock based on a 10-day trailing average from the closing date) in stock to be issued in four equal installments on each annual anniversary of the closing date. For 2018, on a standalone basis, Callcap is projecting $9 million or more in total revenue, including more than $8.5 million in core analytics revenue, up from $7.6 million over the prior year (based on preliminary unaudited estimates), and more than $2.8 million in operating income. Marchex expects the amortization of intangible assets from the acquisition will impact GAAP results. For the remainder of 2018 and for 2019, we expect the acquisition to be accretive to Adjusted OIBA. For the partial fourth quarter of 2018, Callcap is anticipated to contribute more than $0.6 million in core analytics revenue and more than $0.2 million in operating income excluding amortization. This amount is anticipated to be incremental to Marchex’s fourth-quarter outlook outlined on November 5, 2018. For 2019, the Company anticipates the continuation of double-digit percentage year-over-year growth in Callcap’s core analytics revenue and Callcap to contribute operating income of more than $3 million excluding amortization. In 2020, the Company anticipates the realization of potential annualized cost synergies of an incremental $500,000 or more. 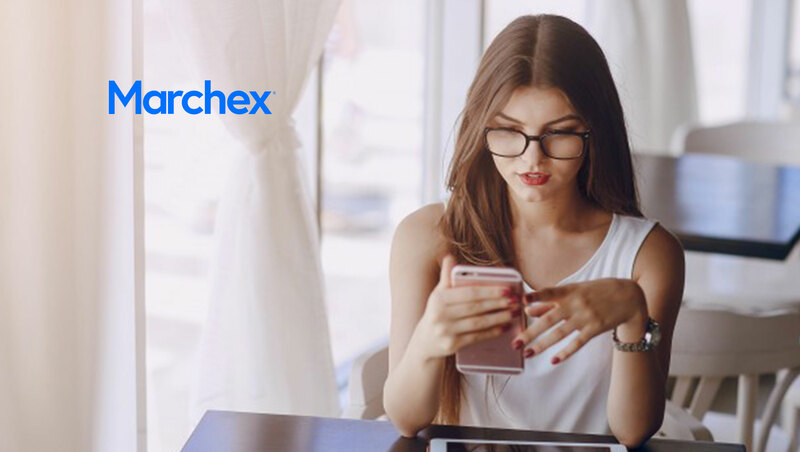 Currently, Marchex understands the best customers are those who call your company – they convert faster, buy more, and churn less. Marchex provides solutions that help companies drive more calls, understand what happens on those calls, and convert more of those callers into customers. Our actionable intelligence strengthens the connection between companies and their customers, bridging the physical and digital world, to help brands maximize their marketing investments and operating efficiencies to acquire the best customers.